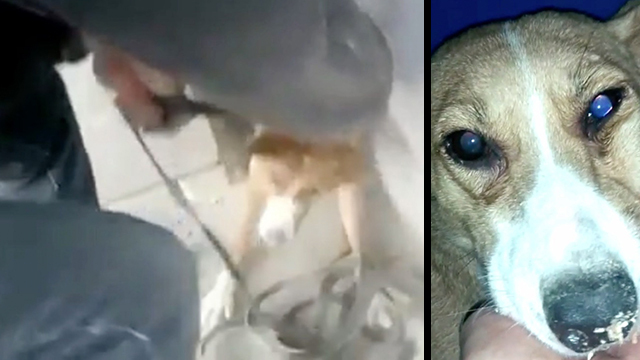 After three years of being trapped in-between, an apartment and a shop, this frightened dog in Siberia was finally freed. The dog was dropped into the narrow passageway as a puppy. The dog was fed every day but backed up whenever people would try to coax it out. Recently, an activist squeezed into the narrow gap to free the dog.